Today's video shows how to link your cartridges to the new Cricut Design Space and Explore Machine! It's super easy to do and is very quick! 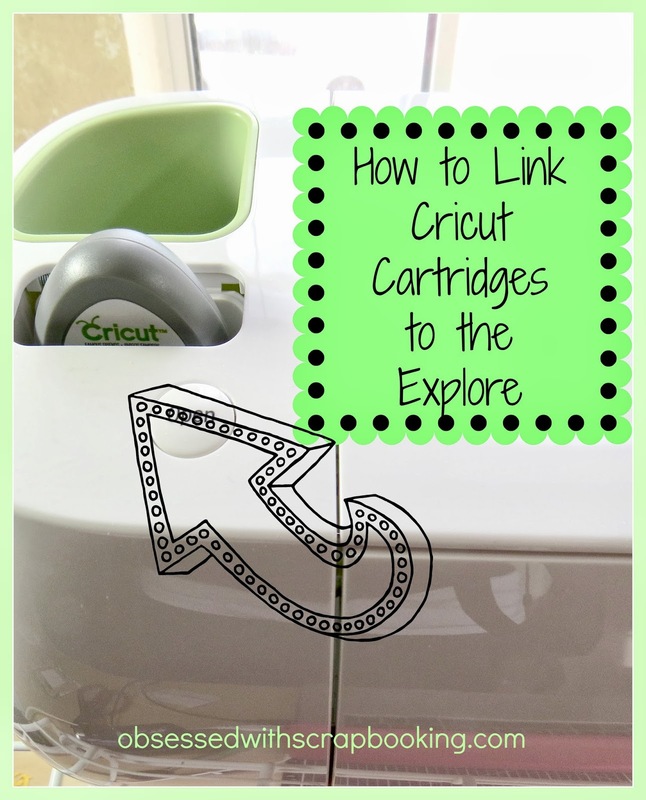 There's also info on the video on how to link your Gypsy cartridges to the Cricut Craft Room (or go HERE for more details). The reason you might want to do that is you may have lots of cartridges loaded to your Gypsy right now. By linking those cartridges with the Cricut Craft Room, they are then automatically also available in the Design Space software. 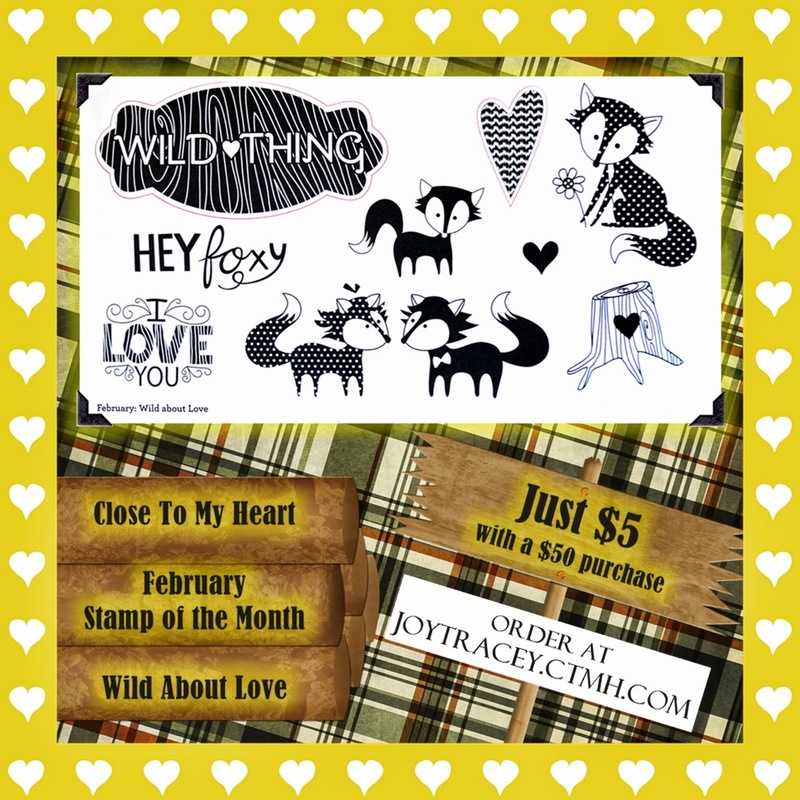 1) Leave a comment below - Do you use Cricut Craft Room? I just signed up to use it, but am haven ing some issues getting it to connect to my mini. I haven't had time to figure it out yet! My friend really likes it, so I'm expecting I will too! 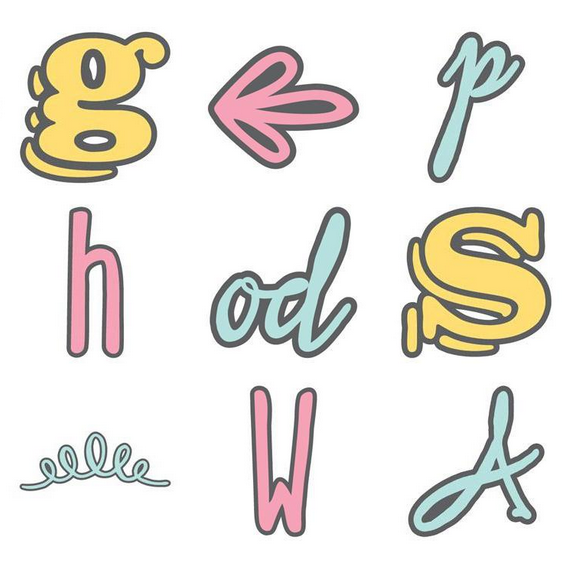 There are so cute fonts!!! I do not use the Cricut Craft Room. I got my Expression from Cricut.com the end of January. Tried using the Craft Room but the required firmware update froze my machine and made it unusable. Support had me attempt several things, none of which worked. Since I had purchased it direct from them and it was still under warranty, they just had be disable the machine and sent me a new one. I have decided I don't want to risk that again so I will just work from my cartridges! I have not used CCR for a long time, but now I wonder why I waited so long. :-) Now if I could just link my Gypsy with CCR. I followed the instructions in the above link exactly. Well, I think I have linked my Gypsy and I have synced, but the cartridges that were linked on my Gypsy are GONE. CS was closed for a company-wide meeting when I called during my lunch break; I hope they are available when I try to call when I get home. oh yes i love the CCR I wouldn't be without it as it's so useful for sizing images just the way you want them as well as much more, love it!! I have yet to. My computer doesn't have enough memory for me to load it. I've used the Cricut Craft Room but not recently. I finally started using the Cricut Craftroom last year after I purchased my first laptop computer, which I keep in my craft room hooked up to my Cricut.!! I have not used the Cricut Craft Room. I have a VERY tight relationship with my Gypsy, so I've been using that exclusively since I got it a few years ago. I guess I should branch out to the CCR so that I have more options in the future. Thanks for the info. Yes I do use the CCR some my thing is with the sizing how to size exactly what I want. Say I wanted to cut a shoe at 3 inches what should I be concerned with the height or width it is confusing me. If you could help with that it would make me want to use CCR more. Yes, I use CCR and I love it! No I have never used Cricut Craft Room. yes, I use the cricut craft room. just wish it would store my cartridges or have them there like the design studio did. But i put my cartridge stuff on the expression and it works good so use it that way. love the ccr. I also have trouble with the size. size and real size totally confuse me at times. I have the Design Studio and used it for years til the CCR. I use it almost every time I make a cut. Sometimes I forget that I can cut without it. I especially like to use it to make sure the cut is the right size for the space on the project. I also like that once your cartridges are linked to the CCR you don't have to keep changing cartridges when working with multiple cartridges at one time. I tried using CCR but it left me very frustrated. So I just gave up and am very pleased with my decision. CCR is on my computer and I use it to look at cartridge content only, I use my Gypsy to design and cut. I've never taken the time to work in CCR. I create and cut from my gypsy. Maybe I'll give it a try. Thanks for all the tips on the Explore. No, I've never felt the need to use it. I always have what I need or want on my cartridges. Thanks for taking the time to explain all this information to me. If I ever have a question, I know where to find the answer. I can't wait to get moved to Arizona so I can really start using my Cricut - it's out there already and we're not. Yes I do use the CCRoom now. I used to only use my Gypsy but now I use them both. It is fun to put different images together and thanks to your help in the videos you provide I am able to make projects, save them send them to my friends to cut out too. Yes, I have just begun to use Cricut Craftroom. It is amazing how much paper I save cutting from CCR as opposed to loading the cartridge into my Expression and cutting from there! CCR is great, I've used it quite frequently, but I'm really excited to try Design Space when I receive my new Cricut Explore machine from HSN! No I do not use ccr, I use my gypsy! All of my cartridges are link to my gypsy. Your video are very helpful! Thanks for sharing and a chance to win this awesome fonts chalkboard! Such a cute font. 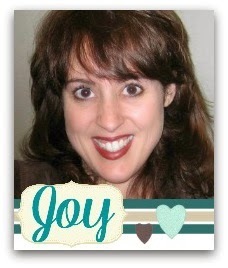 Yes I use Cricut Craft Room, but still love my Gypsy, too. I use CCR more often than not. I love the ability it gives me to cut all my shapes at once on one go (I just put one item in each corner on the same layer and done!). I also like how I can see what it looks like before i cut; with a Personal Electronic Cutter or an Expression, visualizing your results isn't so easy. "The Great Outdoors" With 6 grandsons, a husband, son, and son-in-law, I could put this to good use. Thanks for all the Explore lessons. My only negative conmment with the Explore: There should have been and instruction book. Lots of things to figure out on your own. Without you, I'd be lost. Oh my, I can think of a dozen ideas already for this great outdoor cartridge.WOW I really want this one....;please, please, please pick ME!!!! Love the outdoors! Thank you for all the wonderful ideas, and what a great giveaway!!!!!!!! Thanks again! If I link a cartridge to Cricut Design Space first, will the cartridge also show up in Cricut Craftroom? I'd like to know if all images from each catridge is shown after you upload it. I had heard that some of the features, like envelopes, tags, shadow etc were not shown for each catridge. Is this true? Thanks for your help. Can I unlink my cartridges from my Cricut Craft account or my Cricut ... Will linking my Cricut Gypsy device remove my cartridges or projects. Can you tell me if you can use your cricut cartridges in the Explore without linking them?